PinkTaxiBlogger: Readers, Who Are You? 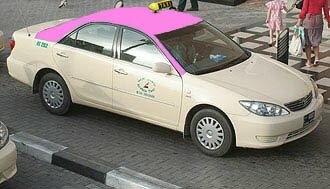 An average of 140 readers log on to pinktaxiblogger daily. I am proud of this figure because I don't know that many people to start with. Many of my readers are therefore unknown to me, mysterious. I write to record the story, the impression, the memory and the opinion. It is an urge. But I also write to be read. I write because I know people will log on daily in search of a story and I am flattered by that. I don't want to disappoint, be it with the monotony of the story or the absence of it. Days go by, scattered, where I don't write. My inspiration fails me. I feel guilty that my reader finds the stale story of "yesterday". I am afraid I will loose that reader, that he/she will renounce to logging on. Readers, who are you? Where are you? Why do you log on? Are you in search of keywords such as Bernar Venet, Dubai Golf Creek Club, Geneve Plage, Smith College, Lego, Bridges? Are you the one time reader curious to discover information about schools in Dubai? Did you stumble on my blog because I wrote about Coffee addiction or Reclaiming Beyrouth? My family and friends log on in support. Frequently. When they comment, even anonymously, I recognize their voice. But every single reader in my close circle of friends and family will admit that they don't log on every day. So how do the numbers of readers remain constant? Blogs, just from the nature of their immediacy, their lack of focus, their scrappy writing are downgraded to "sous-literature", what the French call written forms that are not literary. I always admit to being a blogger with a certain air of humility, of discount. As I was typing this post on my blackberry, the phone rang. My youngest aunt said: "I was googling my dad's name and I found your post on the Iranian hospital. Then I read about Agassi....." She is my reader. Where are the rest of you? "Je sues une blogguese" lamented the blogger when she was faced by a stern French consulate fonctionnaire while assisting someone with getting a visa.The lady looked at her with a straight face ,but stopped at asking what type of profession that would be.She was not aware the Brule blogs once a week at the FT and earns a handsome sum for traveling and writing a short column. We advised our blogger to curb her enthusiasm and post two a week,but when the flood of ideas emerges,you cannot help reaching your big 500 posts soon.Way to go lady.